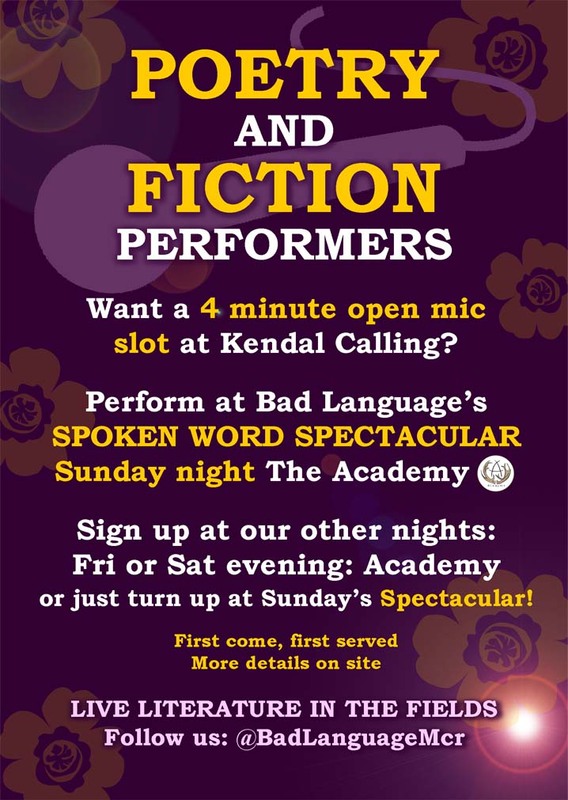 Spoken word performers – bring your poetry & short stories to Kendal Calling! > or just turn up on Sunday night. First come, first served. For those new to Bad Language, this is all about the literature – no music. See on site for more details. Do share this Facebook picture if you think people would be interested.